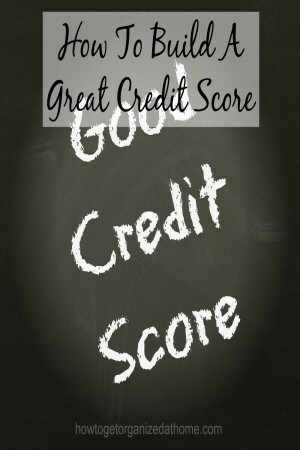 It is not difficult to build a great credit score but there are some points, which are key to ensuring that, if in future you are looking to get any form of credit, you get the best deal possible. The better your credit score the better deals offered to you and this can mean saving money in interest payments over the course of the credit agreement. Credit is a commodity that is easy to obtain, however, there is a need to have a great credit score even if you don’t want a loan or a credit card. Some other areas which you might not expect to have a bearing on your credit score: a poor one is a reason why a refusal for an application for renting a property, or a mobile phone agreement. There are things that you can do to ensure that your credit score isn’t affected by your actions and you are doing your best to ensure you have the best credit score possible. The single most important thing that you must ensure is never being late with a payment. This will drop your credit score quicker than anything else that you can do. It is important that whilst you might have a great credit limit by your credit card company, you try not spending near this upper limit. Ideally, you want to keep your spending to under 30% of the actual balance, this demonstrates that you are good with credit and act responsibly. If you are able to resist the urge to spend, it is important that when you pay off a balance, you don’t shut the account; this can increase the amount of credit available and make your spending lower than your credit limit. If you want to show that you are responsible then you do need to use the credit regularly, however, this is just to improve your credit rating and you should only be using it to pay off the amount owed each month. Once you have paid off a debt there is a trend that is happening where people are trying to get these paid off debts removed from credit reports, this isn’t a good idea. It is better to leave it there as evidence of good debt. If you suddenly go on a spending spree and spend more money than you normally do on credit, this can have a negative impact on your credit report. Therefore, if you are planning some expenses and are aware that you need more credit, to hold of the spending until after the credit application has gone through. If you apply for some credit, even if you don’t take up the offer, it can have a negative impact on your credit report, it stays there for the period of 1 year and the more you have the more it can affect your credit report. Therefore, it is possible to improve your credit score but unfortunately it will take a few months of being good and taking the time to do what is benefiting your score, to have an impact. However, whilst credit is an important aspect in the modern society it is important that you budget your money carefully, then you might not need to apply for credit. It is always better to have the money for the item, that way you are not paying interest on the item that you want or need. I couldn’t believe it when I was turned down for opening an account at a bank because of my low credit score. I didn’t know that could happen. Thanks for these great tips. I have often struggled with this issue. Credit scores can be confusing. 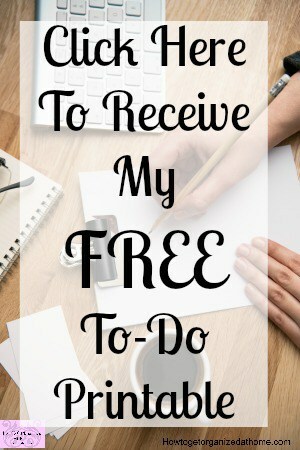 Thanks for sharing this on the #HomeMattersParty linky and I hope you will come back and share again.